Note to Debbie Wasserman Schultz: It’s happening this year. Bernie Sanders won the Indiana Democratic primary on Tuesday with a roughly 53% to 47% split of the vote. It was by no means a landslide, but it was a win, an unexpected win given what the polls were saying only a day before. The media followed this news with the typical analysis saying that Hillary is still the presumptive Democratic nominee, that she still has a commanding lead in delegates because even with the win Sanders only picked up six more than Hillary—43 to her 37. In this fashion and as most news outlets seem to do, delegate tallies were displayed that lumped the super delegates in with the pledged delegates. Here’s a shot from the Today Show this morning. Such displays indicate to the uncritical voter that Hillary’s lead is insurmountable, but as anyone who visits this site regularly will know, the pledged delegate count is much closer, and I was actually able to find a reputable main stream media site—the New York Times—that displayed this information. As you can see, her lead in pledged delegates is less than 300, and that is not an insurmountable number. Yes, she actually said that with a straight face. More recently on “With All Due Respect,” she said the following regarding superdelegates. When pressed by the host, she repeated herself. This assertion that the superdelegates have never played an influential part in nominating the party’s candidate was rated by PolitiFact as mostly true. And that’s fine, but it doesn’t change the fact that it’s happening this year, that it looks like neither candidate will have enough pledged delegates to win the nomination outright, that the convention will be all about superdelegates. 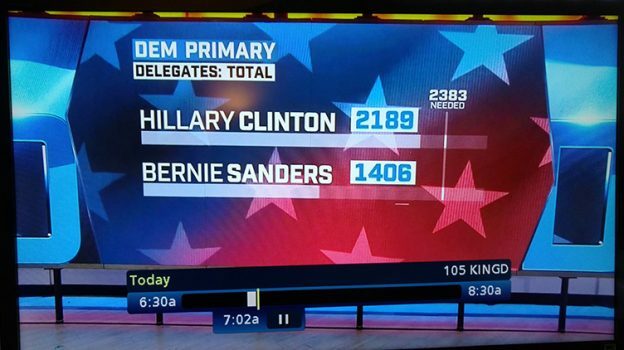 Again, Clinton has 1700, Sanders 1410. Not even a 300 delegate lead, and she’s still over 600 shy of the 2383 needed to guarantee the nomination. There are still a number of states left, but the likelihood that either Sanders or Clinton will reach 2383 is small. Here’s one detailed analysis that speaks directly to this. So what then? 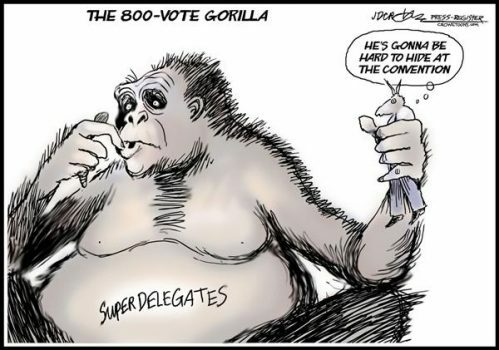 Well, we either have a contested convention or the superdelegates tip the scales. 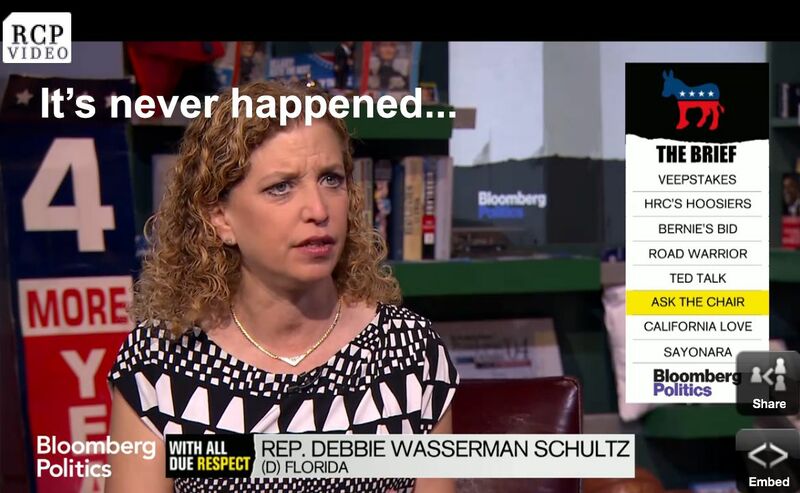 That mostly true claim by Debbie Wasserman Schultz is coming undone. The superdelegates—many of whom were declared for Hillary even before Sanders got in the race—will be put to it. The decision will be theirs, and democracy will be one step further away from the people. And we all thought the Republican party was tearing itself apart. Indeed it is…until the revolution comes.